Chromium Picolinate is a mineral supplement that aids in blood sugar control and is commonly used to help control diabetes and boost weight loss. Only very small amounts are needed in the body, but as they are vital for health it is known as an essential trace element. In this post we will look more closely at chromium picolinate benefits to see if this supplement right for you and your needs. Chromium can be used in the treatment of a whole host of diseases, including pre-diabetes, type 1 and 2 diabetes, depression and certain other mental illnesses, PCOS, high blood sugar, high cholesterol, metabolic syndrome and some eating disorders. Here I will essentially focus on the main reason chromium picolinate is used as a supplement in the thriving health and fitness industry to boost weight loss and and increase energy levels, and also its role in anti aging. So here’s the deal, who doesn’t have blood sugar dips and troughs every now and then, or even all the time like many people do? 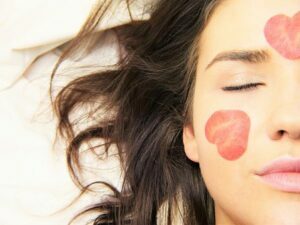 One of the culprits of this problem is the hormonal changes that occur during the female monthly cycle when you may start craving with abandon refined carbohydrates and sugary treats. The good news is we really can’t help it ladies: these cravings are real and are down to the dips in serotonin which can happen during premenstrual hormone fluctuations. This has the side effect of making you crave carbohydrates, for the simple fact that they are the building blocks of that much needed serotonin. Punishing yourself only makes matters worse! For many, along with this feeling of lack of self control, comes a feeling of guilt that leaves you even more depressed. It can be a vicious cycle that is hard to break and can lead to sugar addiction, and then as if that wasn’t bad enough, the whole host of new problems that come along with that. But you can find ways to deal with this problem at its root cause, and this is where chromium picolinate may be really helpful in getting those sugar cravings under control. It’s all about stable blood sugar! The other solution to this (alongside the support of chromium picolinate supplementation) is to keep blood sugar levels stable throughout the day by eating low GI foods little and often. However, this can be a problem for most of us (not just hormonal females) because our modern diet is littered with refined carbohydrates and other unhealthy simple sugars; combine this with not enough fiber and nutrients from fruits, vegetables and wholegrains and it can all end in up in a blood sugar disaster! That is why diet is crucial, and should always be your number one priority. 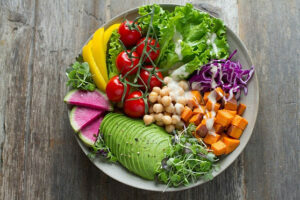 An alkaline, highly plant based diet filled with lots of plant proteins, antioxidants, and detoxifying foods will work together to not only blast those damned sugar cravings into kingdom come, but also boost fat loss, and lower your risk of a myriad of other diseases, including obesity, metabolic syndrome, type 2 diabetes and cancer. According to new statistics as of 2015 the average person consumes around 32 teaspoons of sugar a day, and these are mostly hidden in fast and processed foods. This is the main cause of obesity, type 2 diabetes, and metabolic syndrome – all of which in themselves will eventually make you sick with other problems leading off the back of them. Therefore controlling sugar intake is absolutely vital for long term health. 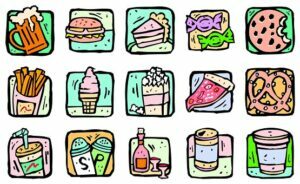 Lets face it, sugar is everywhere, and hidden in SO many foods – even unlikely savory foods can contain high amounts of sugar, and it has been called one of the most addictive substances on earth. The body was not designed to metabolise the huge amounts that we consume in our modern diet, in fact we can only safely metabolise around 7 teaspoons a day – any more and we are be storing up ill health. All this is also dependent on other lifestyle factors of course, for instance, if you are a body builder or do lots of exercise then you are likely burning excess sugars off. Also, if you have high amounts of muscle mass on your body this will also help to mop up excess sugars from the bloodstream. Most of us have some level of sugar addiction going on that we are more than likely unaware of. Even those who claim they are ‘not a sweet toothed person’, and never eat cakes and deserts, are probably in reality still consuming way over the recommended 7 teaspoons a day, often hidden in so called savory foods. In fact, the average hamburger from a fast food joint could be loaded with over 2 TEASPOONS OF SUGAR; and other processed foods such as fruit juices, breads, processed meats, and most condiment sauces will all be packed with sugar too! If you open up your kitchen cupboard and properly checked out ingredient lists, you would most likely find sugar hidden absolutely everywhere. And even more frustratingly, sugar is not always labelled as just ‘sugar’ as there are in fact around 50 different chemical names and types of sugar on the market, and many times they are totally unidentifiable. Stressful, yes, but if you eat a whole food, and low GI healthy diet, then you will be steering clear of all these sugars naturally. The solution to a diet too high in sugars, is to always buy your food in its most whole and close to nature form as possible. 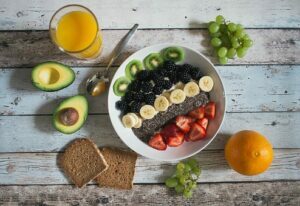 These include fruits, vegetables, wholegrain pastas, brown rice, granary breads, and wholegrain breakfast cereals (you may need to check sugar content with these), organic butters and plain yogurts (you can add healthier brown rice syrup, date or maple syrup; or fruit for sweetness but only in moderation). You can also eat pulses, lentils, good quality oils such as olive, coconut, flax, sunflower, and sesame oils, and unsalted nuts and seeds. All of these contain only a minimum, if any added sugars, and will give you a full array of nutrients, protein, fiber and amino acids. For a full list of low GI, low sugar foods please read this low GI foods list and find out exactly what you need to put on your shopping list for your low sugar diet. What happens to sugars in the body? When you eat sugar, or other refined carbohydrates such as refined flours, they are broken down rapidly by the body and absorbed into the bloodstream thus causing a rapid and ‘fast’ blood sugar rise. This causes the brain to signal an insulin release from the pancreas to mop those sugars up, then transport them into the liver and muscles where they can be stored for energy, OR more often than not, stored as fat. 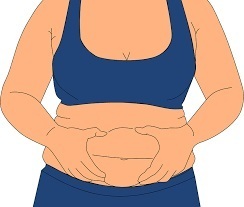 The problem with this scenario is all this extra energy, in most cases isn’t actually used, and so those excess sugars get stored as fat – specifically dangerous belly fat. This was a good thing once upon a time when we were living in caves and didn’t know where our next meal was coming from, but it’s not good to be having these reactions many times a day at every meal, and a low sugar diet will help to negate this. This occurs when the body is bombarded on a continual basis with too much sugar; the cells eventually fail to respond to the insulin being pumped out and become insulin resistant. This leads to the body being unable to clear sugar from the bloodstream effectively – which is VERY DANGEROUS, and leads to type 2 diabetes, metabolic syndrome, obesity, and a whole host of other potentially life threatening diseases. 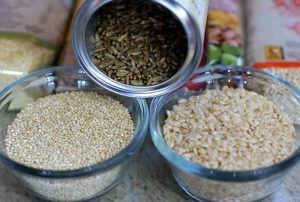 Eat unrefined and low GI foods, such as wholegrains, whole fruits and vegetables, and nuts, seeds, and pulses; all of which release their sugars slowly into the bloodstream, which helps keep your blood sugars on an even keel for hours. This helps to reduce over eating and those dreaded sugar cravings. Try not to break your foods down! 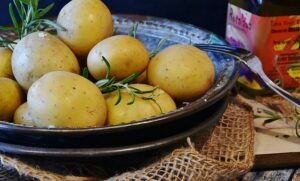 An easy way to quickly assess a food’s GI (which is the rating for the amount of sugar it contains, the lower the better) is to think of it like this: if something is in its whole form, for example, a boiled potato in its skin, then this is going to have a much lower GI than potatoes that have had their fibrous skins removed and then mashed. Why? Because the mashing process in itself has broken the food down, which is a job that your mouth, stomach, and intestines are supposed to do. But in this scenario it has already been done, therefore your body doesn’t have to do anything and can absorb those sugars quickly – too quickly! These sugars are then released almost instantly into your bloodstream, rather than more slowly over a longer period through the digestion process – and there you have it, an unnatural blood sugar spike that promotes a strong insulin release. It all makes absolute sense when you think about it, it’s obvious that this is what the body is designed to do in nature – break down food slowly to keep us sustained and full for hours. This same reasoning holds true for everything you consume. 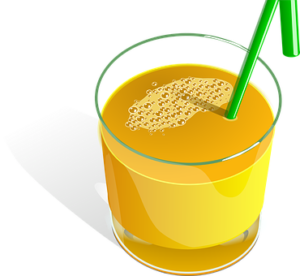 Fruit juice, for instance, has a MUCH higher GI value than eating the whole fruit because it has had its fiber taken out in the juicing process, and even if your juice contains the pulp, it is still only marginally better as that pulp has also been broken down too. You get where I’m going with this? It is also easy to consume 10 oranges when they are in juice form, but you could NEVER consume 10 whole oranges within minutes if you were to eat the whole fruit one after the other (unless you’re some kind of eating competition champ). This would be way to much fruit sugar (fructose in particular) for your body to deal with in one hit, which would cause a big sugar spike and therefore promote fat to be laid down. Just think of how easy it is for this to happen when you drink fruit juices. Refined flours, pastas, rice, and all sweet products will all have the same effects on blood sugar. But the sugars in ‘whole foods’ are released much more slowly as they haven’t had their fibers broken down or nutrients processed out of them. So in essence, it is the process of the body having to do the hard work of breaking down the food that makes it lower GI, thus giving you a steady release of energy and stopping those uncontrollable cravings. This is why NOT all calories are created equal! Armed with this knowledge, it is easier to understand the concept of not all calories being created equal. 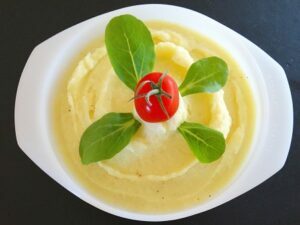 Take the mashed potatoes versus the boiled in their skin potatoes – both have the same calories gram for gram, but their different cooking and processing methods means their sugars are released differently. The mash, being higher GI, will cause the body to not only more readily lay down those sugars as fat, but also this faster processing process will cause them to ‘burn off’ more quickly, encouraging hunger to strike again fast and the ultimate consumption of too many calories over all. Chromium picolinate supplements may be of considerable help to you, especially if you are pre-diabetic, already have type 1 or 2 diabetes, have high blood sugar, high cholesterol, depression and other mental illnesses, metabolic syndrome, or eating disorders. ALL of these can potentially be alleviated by controlling your blood sugar, and ultimately, your sugar cravings. 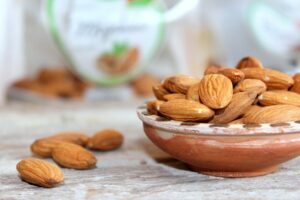 Recent studies suggests chromium picolinate has the abilities to augment insulin action, so therefore helps to control blood sugar better in those with glucose intolerances and insulin resistance. 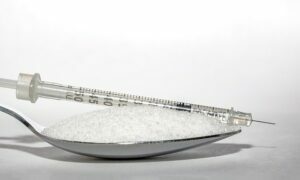 Slowing down the release of sugars into the blood is one of the, MAJOR CORNERSTONES of health in general, and will help with your weight loss efforts and overall body fat reduction. 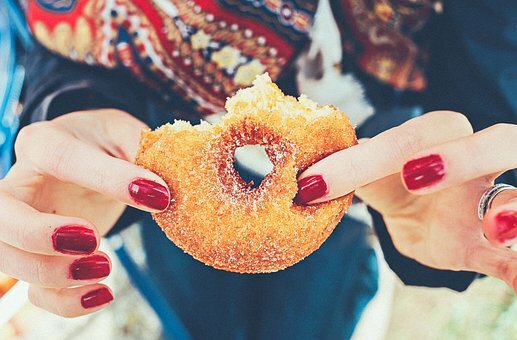 Chromium may also help those those who suffer severe sugar cravings. It was shown in one study over 8 weeks that 600 micrograms of chromium daily significantly reduced carbohydrate cravings – and the best results were seen in those with the greatest cravings. The recommended daily intake is between 50-200 micrograms to maintain health, but higher doses of up to 1000 micrograms can be used with certain medical conditions. Cinnamon and chromium picolinate are a dream team! You will find, in some supplements, that cinnamon is added to also help lower blood sugar alongside the chromium. There is a very good reason for this, as cinnamon helps lower blood glucose which in turn means an even bigger boost to weight loss and blood sugar control. Cinnamon has SO many other amazing health benefits, such as being a powerful antioxidant, anti cancer, anti fungal, and anti aging. My advice would be to buy your own ceylon cinnamon sticks and grind them yourself to add to your breakfast or smoothies, or however else you like to use cinnamon. Try to keep it raw so as not to destroy its antioxidants. Always be sure to buy ceylon cinnamon and not cassia as this is much healthier. Most supermarket ground cinnamon will be the cheaper cassia variety and you can’t tell the difference when it is pre-ground, which is why I advise you grind your own. Find out exactly how to use cinnamon for weight loss and blood sugar control, along with other fat burning tips, in this post cinnamon and fat loss. You may want to experiment to find the dosage that works for you, especially if you are using it to control sugar cravings. Chromium Picolinate should not be taken without breaks for more than 8 weeks at a time, and never more than instructed on the bottle. ALWAYS make sure, as with any supplements, that you buy from a reputable brand to be sure you’re getting a good quality, controlled product that actually works. You may be wondering how all this ties in with anti aging, and the answer is quite simple: sugar is VERY AGING (yes, horrors!! ), just like the sunshine and smoking. Every time you have blood sugar spikes and troughs this accelerates your aging process even more by shortening your precious telomeres. Telomeres are strands of DNA that shorten as you get older through the simple effects of time, but mostly through the oxidative damage of the above factors. Take these out of the equation, and add in lots of antioxidant rich foods and you will vastly slow down the aging process. It’s just simple science. The relatively easy process of cutting down on sugar, adding in more healthy foods (specifically a plant based diet), along with some natural anti aging supplements, will keep you looking younger far more effectively than any cream or potion can. Recommended dose: Up to 1000 micrograms daily. Always buy from a trusted chromium picolinate brand that doesn’t use unethical methods of production, OR fill their products with synthetic chemicals, fillers, or artificial preservatives. Thanks for stopping by and reading this post. If you decide to use chromium picolinate to help with sugar carvings, then please drop me a line and let me know how they work out for you as I would be grateful of the feedback. If you have any questions then I am always ready to lend my help, so go ahead and post below. Have an awesome day! Thanks for sharing this vital information. I had no idea how much-hidden sugars are in products we use on a daily basis. WoW, it’s something to really watch in order to avoid the things you spoke of in your post, such as obesity, pre-diabetes, etc….I will try some Chromium Picolinate just to protect myself. Would it be advisable to take it as a preventative measure? Hi there, thanks for reading, I’m glad my article was helpful to you. I would say you should probably only use Chromium Picolinate if you either are already suffering from those diseases OR if you are already overweight and you have strong sugar cravings. This is the main reason it is used,to help stop the cravings which in turn could make you over eat and in turn lead to those diseases. So do you see where I’m going here, you only need it if you have these problems. Having said that, most people could benefit from A B-vitamin complex in today’s stressful world and many of those already contain small amounts of chromium which is probably all you would need. Great educational Post. I wasn’t aware of chromium picolinate. I am aware of sugar issues and of the past 3 years have reduced sugar intake. I still eat fruit and the occasional sweet (When you kids, it’s hard not to). Did you know mindfulness practices also reduce telomere shortening? Hi there, thanks for reading and glad you found it informative. I think it’s fine to have some sugar, in fact we can have 5-7 teaspoons a day without it being too detrimental so I wouldn’t worry too much if you only have a little. And yes, I know about the mindfulness and meditating and try to do it every day. Also, yoga is another practice that helps shorten telomeres. Fantastic! I must admit that every time I see Chromium Picolinate on the shelves of the supermarket or a Vitamin Store, I am curious about it. Even though I have never taken the time to research it, I believed that it was just a trace mineral with little or no benefit. The information in this post has certainly cleared up my curiousity. Now that I know how beneficial this is, I will be purchasing Chromium Picolinate. Do you have to take it with a multivitamin? Hi Carol, yes we do only need a trace amount of Chromium Picolinate, but some people are still lacking. Firstly I would recommend that you check your multivitamin as you mat find you already have it in that (though not all of them add it). If not, I would only recommend a supplement (which will be a much higher amount than your RDA from a multivitamin if you either have one of the diseases mentioned in the post OR you have a quite a bad sugar addiction going on and need support while trying to cut it out. Using high doses without these reasons will probably have no benefit, or so far has not been proven to have any benefit. I just happened to stumble upon your page when searching for ways to help my friend lose weight. He’s been using a lot of supplements and it seems to be working, but I don’t think its healthy for him. I like how you have natural ways to reduce weight! He is about 5 feet 11 and weighs about 190lbs. What kind of exercise do you recommend while supplementing his diet? Hi there and thanks for reading my page. As for your friend, I would need to know ,ore information, like what supplements he is actually taking? I could probably tell you straight away whether they are any worth taking or not and if they are healthy. Also, as for exercise I would say to definitely do some kind of weight bearing like gym work, boxing, circuit training or anything that builds muscle, because the more muscle you have on your body the quicker you will burn calories even at rest. I did not know that wholegrain, whole food and vegetable can slow down the process of releasing sugar into the bloodstream. Good idea actually, this way, it will trick your mind by not letting you feel hungry and at the same time you can still eat less. Hi Kien, yes there are lots of tips and tricks to help you lose weight and I always think it is not any one thing but a combination of a lot of things that culminate together to keep your weight down. Obviously healthy food and exercise have to be involved as well. Yes I will check out your page, thanks. You may also find helpful my post on fast fat burning foods. I am really thankful to you for sharing this very useful information with all of us. I was unaware of chromium picolinate and it’s benefits. What I love is the way you have explained everything, especially the diagram of the glucose cycle, it will really help many people to understand. Thank you once again and keep up the good work. What an informative article! I was diagnosed with Type 2 Diabetes about a year ago and have been fortunate to have it under control without needing insulin. I still crave sugar and high-carb foods like bread, pasta, chips, etc. I am going to give chromium picolinate a try to see if it helps with my cravings. Thank you for this information. Hi Suzanne, I’m sorry to hear you have been diagnosed with type 2 diabetes, but how fantastic you have it under control naturally. It has in fact, been proven now that diabetes can be cured through diet alone and you are evidence of that. We treat people a lot in the clinic where I work for this issue and diet and chromium picolinate are a part of that treatment. And honestly, most of them end up way healthier than they have ever been in their lives! Such a great post. I’ve been adopting a very low sugar diet, and it feels so freeing. I never realized how much sugar was in everything I ate until I stopped eating it. The first week, it felt terrible. Honestly, it was a horrible feeling not having sugar. The second week, I started to feel more clarity in thought, losing some weight, and a better outlook in life. Honestly, life with a low sugar diet is a great life. I never realized that there was an average of 32 teaspoons of sugar a day hidden in food. Crazy. My daily vitamins have Chromium Picolinate in it already, and I agree, it’s a great supplement. Hi there, that’s awesome you have managed to give up sugar. It really can be like going cold turkey when you first do it, I know as I had the same thing happen to me. I was literally shaky, irritable and couldn’t sleep. Crazy isn’t it, for something that we have always believed to be so normal. Just goes to show how poisonous it is. I’m glad you find chromium picolinate useful for this; I didn’t know about it when I first went sugar free as I’m sure it would have helped my symptoms a lot.